A deeply rooted dichotomy of the sacred and secular has made business something less than godly. This view is unbiblical and against God's will. 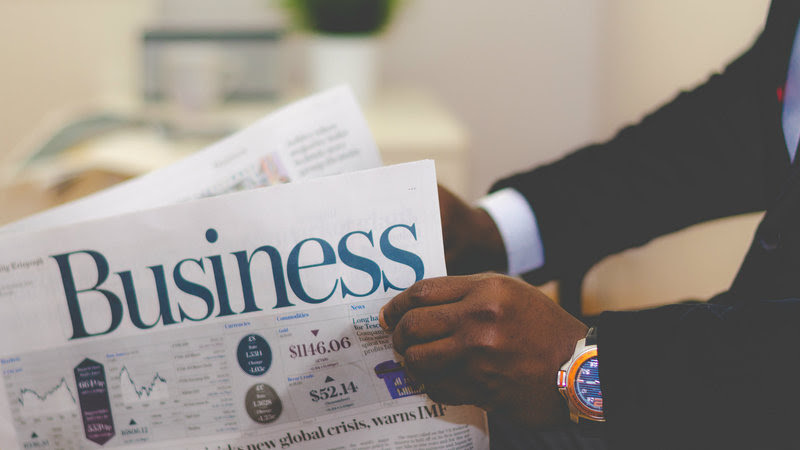 The following article, fromhttp://www.transformationalsme.org, explains what a biblical view of business should look like. (SfK Ministries has permission by the author of this article to re-post in our newsletter). It is an eye-opening read that all missional entrepreneurs should take a look at and gain conviction in their missional businesses. So what is an article on business doing in a global dictionary of theology? ** What place does business have in the life and witness of the Body of Christ worldwide? Why should businesspeople take an interest in theology and its practical outworking as they ply their trade? These questions go to the heart of a persistent struggle waged by the church throughout history. Economic issues rank high on the agenda for much of the world. For good or ill, commercial priorities and the behavior of business leaders are shaping global events, in some notable cases, far beyond the capacity of traditional centers of influence, such as governments, to control or match. In many countries unemployment is rampant; even the solutions to other apparently unrelated issues, such as HIV/AIDS or traffic in human beings, involve a business oriented response. The church must choose between responses of ambivalence, antagonism, or positive engagement with business in its holistic understanding of the gospel. Theological reflection on business is part of a larger set of issues including debate over distinctions between sacred and secular, the nature of work and ministry, and, in the missiological arena the nature and role of so-called “tentmaking”, of which business is generally taken to be a subset. An important overarching concept is the prophetic call to love justice, practice kindness, and walk humbly with God (Mic 6. 8). The vexing issue of profit is addressed in scripture. Many of Jesus’ own teachings use business examples, often favourably, to illustrate ultimate truth. It might be said that God is the original entrepreneur. Beginning with an idea, and creating that which was good in all respects, God reveals His Person, and shows us an essential outlook on life (Gen. 1.1 – 2.3). Furthermore, the central business activity of providing meaningful and sustainable employment is a demonstration of justice and kindness, grounded in the character of God. Alongside of proclamation is the need to demonstrate the transforming power of the gospel to a skeptical world. From the “thief who steals no more” (Eph. 4. 28) to the executive who “provides what is right and fair” (Col. 4.1) modeling successful business, based on God’s truth and prayerfully led by the Spirit, is a tangible and irrefutable witness. The “ecclesia”, the people of God, are found on the shop floor, in factories, and other work settings. Especially in countries where suspicion and hostility to the gospel is strong, the most natural and credible opportunities to evangelize and make disciples are often found among employees, suppliers and customers of businesses led by committed Christians. In contrast to conventional wisdom, the Christian affirms that business does not exist to maximize shareholder wealth, but by the permission of God and to be a channel of blessing to others. This leads to a number of considerations concerning the proper direction and use of all that God gives us, including the gifts of time and talent represented by employees, the earth’s resources, the very products and services produced, and the profit which accrues. These concerns are foremost in the thinking of the faithful steward. Beginning with the story of Abraham, including the account of the worthy woman of Prov. 31, and culminating with the record of Priscilla and Aquila (Acts 18), entrepreneurs hold an important place in the unfolding of God’s purposes. In the Middle Ages, the Nestorians carried the gospel along the Silk Road as they conducted business on East-West trade routes. The influence of the Moravians and Basel entrepreneur missionaries of the 18th and 19th centuries was far-reaching. The Norwegian entrepreneur, Hans Nielsen Hague (1771 – 1824) represents a dramatic example of the power of business in the hands of a committed Christian to literally transform an entire society. Far from being on the fringes of God’s global purposes, business has often played a central role. With this historical perspective in mind, the challenge of our day is in many respects to recover and implement afresh this exciting heritage. For the church worldwide to effectively embrace business as a vocation for its membership the collaboration of those with of a wide range of skills and spiritual gifts will be required. For example, because the practice of business takes place in a cultural context, anthropological perspectives are necessary. Similarly, the contribution of ethicists, economists, environmentalists, historians, journalists, lawyers, missiologists, sociologists, and others will add value to the more classic “business” competencies of finance, product development, marketing, and human resources. Chief among the spiritual gifts required will be courageous prophets, envisioned pastors, and authoritative teachers, if those saints who are called to a ministry of business are to accomplish this with Christ-honouring accountability, affirmative equipping, and adequate resourcing for the task. There is a global movement of the Spirit in connection with business. Virtually every country in the world and every part of the Body of Christ is being touched. Perhaps most significantly, individual believers with business skills are being awakened to the potential involvement they can have in furthering the Kingdom of God in the business arena. In 2005, a gathering of over seventy representatives from every continent met in connection with the Lausanne Consultation in Thailand to focus on business as a missional activity for the church. Emerging across the world in at least a half dozen regions, many of which are economically poor and where the church is in a small minority, are consultations of entrepreneurs, business professionals and others engaged in the issues of business for the greater glory of God. Spanning the globe are Christian business ministries to executives and employees with a calling to the higher purposes of God. All this represents a genuine sign to the people of God, and to the world, of the Kingdom in our midst. Grudem, Wayne, Business for the Glory of God: The Bibles Teaching on the Moral Goodness of Business, (Wheaton, IL: Crossway, 2003). Hill, Dr. Alexander, Just Business – Christian Ethics for the Marketplace, (Downers Grove, Ill.: InterVarsity Press, 1997). Myers, Bryant, Walking with the Poor: Principles and Practices of Transformational Development, (Maryknoll, N.Y.: Orbis, 1999). Rundle, Steve, and Tom Steffen, Great Commission Companies: The Emerging Role of Business in Missions, (Downers Grove, IL. : InterVarsity Press, 2003). Schlossberg, Herbert, Ronald J. Sider and Vinay Samuel, Eds,Christianity and Economics in the Post-Cold War Era, (Grand Rapids, MI: Eerdmans, 1994). We have made several follow ups on the decisions made by the SfK Life Board in August, including the establishment of SfK Korea and SfK Asia. Although we have faced some challenges, we trust that we will overcome, Lord willing. 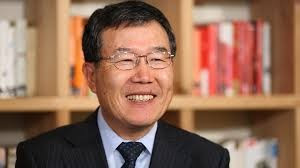 Dr. M. Jae Moon, Underwood Distinguished Professor at Yonsei University has agreed to serve as a member of SfK Korea board. Dr. Moon will pay special attention to matters related to governance. In addition, Rev. 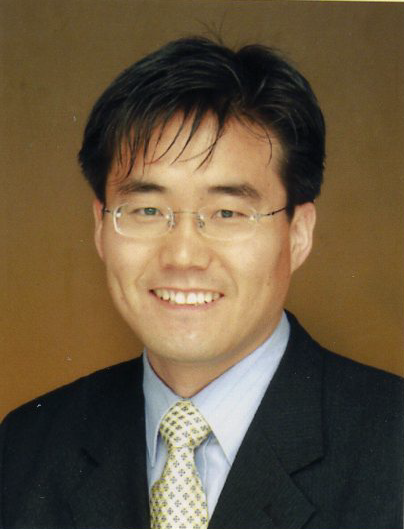 Dongho Kim will chair the board. Rev. Dongho Kim is not only a renowned pastor who has established many churches, but is also a strong advocate and practitioner of social entrepreneurship and BAM. He has been particularly active in supporting North Koreans who boldly escaped from the tyrannic regime in the North and desire to settle down in South Korea. We are blessed to have Rev. Kim and Dr. Moon join us on the board of SfK Korea! Dr. Young Kwon, one of SfK Life Corporation's Board members attended the Los Angeles BAM Conference. It was informative and fruitful. Jeffrey will visit a missional business in Arusha, Tanzania in October to assess their business model and needs. Also, he will explore the possibility of collaboration to establish SfK ministry in Tanzania. SfK Ministries has begun the translation of contents on English website to be used for creating a Korean website. Nov. 4-27, 2016: Jeffrey and his wife, Kristin, will be visiting Denver, Los Angeles and Dallas in the U.S. During this trip, they will be speaking to people about BAM and SfK Ministries, as well as spending time with their children over Thanksgiving. Nov. 29, 2016: Jeffrey and his wife, Kristin, will be relocating to Chiang Mai, Thailand. This move is planned primarily because SfK’s Asian regional office will be established in Chiang Mai and it is becoming the missional agency centers for Asia outside the U.S. Jeffrey will continue to travel to Rwanda to facilitate ministry activities in Africa. Dec. 19-22, 2016: Thailand Mission Conference. This conference is primarily for traditional missionaries. Jeffrey will give a lecture about BAM: Biblical Foundation and Practices. January 2017 (tentatively) SfK Korea plans to launch its first SfK BAM Fund in Seoul, Korea. Feb. 18 - Mar. 10, 2017: BAMconferences.com will hold a BAM Training, Chiang Mai, Thailand. This 3-week training course will include classroom learning as well as field observations. Please learn more about the training and register at http://bamtraining.org/bam-course. Mar. 7-11, 2017: BAM Global ThinkTank will hold its first Wealth Creation Consultation in Chiang Mai, Thailand. Jeffrey will be among 35 people who will come from all around the world and the consultation will deal with the important topic of wealth creation in the biblical and missional context. The process of establishing SfK Korea and SfK BAM Fund may progress smoothly. The legal requirement to establish SfK Asia in Thailand may receive God's favor. Jeffrey's trip to the U.S. may bear fruits and his family's relocation to Thailand may go well. God may provide sufficient financial resources for SfK Ministries to meet all the needs that have been identified. Several key people of God are considering joining SfK Ministries. May the Lord bless them with clarity in their minds to discern God's calling so that they may make wise decisions. Please consider sharing God's financial resources entrusted with you for the cause and purpose of SfK Ministries during the coming months before the year-end. Until we send you the next Newsletter, may God bless you richly so that you may live an abundant life in Christ.